With 13 seconds left in Game 1 against the Minnesota Wild Paul Stastny made himself a hero. With 7 minutes and 27 seconds gone in the first overtime, Paul Statsny became bigger than Peyton Manning in Denver, for now anyway. His game one theatrics made the city of Denver, and Avalanche fans around the world as jubilant as a kid on Christmas morning. Playoff hockey came back to Denver, and the present under the tree was a stunning overtime win. Paul Stastny wasn’t the only key to that victory. Nathan MacKinnon, Tyson Barrie, and an outstanding play by Erik Johnson all deserve credit. But it was Stastny’s game tying and game winning goals that highlighted how important a player he is to the Colorado franchise. It might be stating the obvious, but Stastny is an unrestricted free agent at the end of this season. No one needs to be told twice that he’ll be a hot commodity this offseason. For Colorado it shouldn’t be a question, they need to sign him. 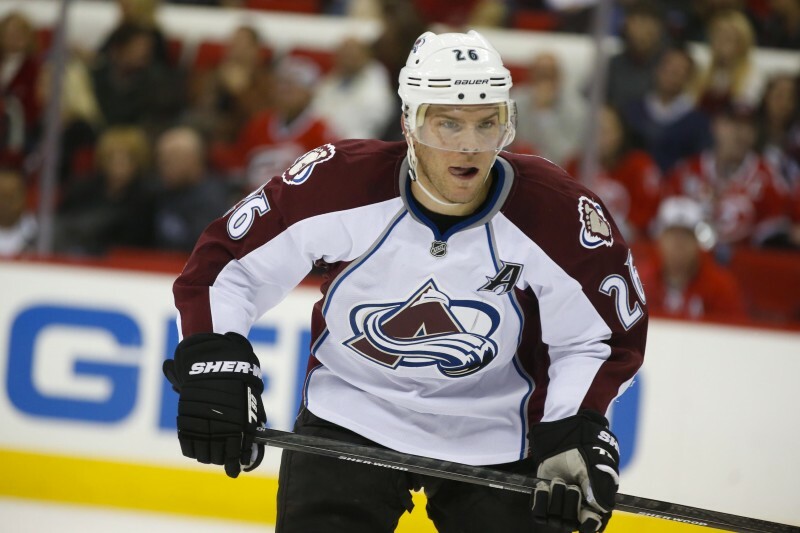 Stastny is a player who is sometimes forgotten about in Denver. Flashy centers like MacKinnon, and Matt Duchene tend to soak up most of the spotlight. And while some have suggested that this makes a player like Stastny expendable, the truth is neither of those two players match the same two-way play that Stastny can. It’s not a knock on either Duchene or MacKinnon, but when a late game defensive zone faceoff needs to be taken, it’s usually Stastny on the ice. 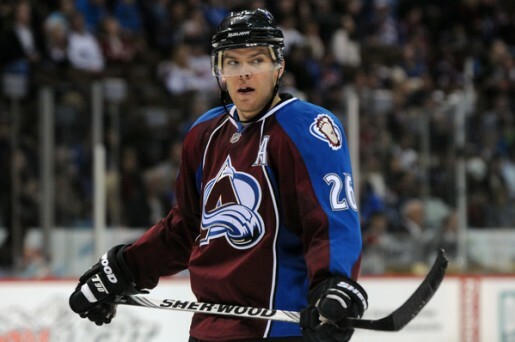 Stastny won 54% of the face-offs he took this season, a better percentage than both Duchene, and MacKinnon. What Makes Stastny so important? Paul Stastny is going to be a highly sought after free agent this year because it’s the nature of professional sports. He’ll be valuable to any team he signs with. So the question is why is he more valuable to Colorado? He really isn’t more valuable, but rather Colorado needs him more. It all comes down to how the Avalanche play the game. This isn’t a team with a deep blue line. Without going into too much detail on the team’s defensive system, the important thing to know is how important the forwards are. Patrick Roy sells the idea of team defense to his players. Forwards track back, collapse in to protect high scoring areas and try to keep the opponents on the out side. The thing is, Paul Stastny is really good at this. He’s such a smart player when it comes to positioning that he rarely loses a man. His line with captain Gabe Landeskog is routinely put on the ice with the opponents top line. In Game one Paul Stastny was out for large portions of the game against Parise’s line. And while Parise had a good night, as the game wore on Colorado started to settle down, and there was little opportunity for Parise to make an impact. But this underscores an important aspect of what makes Stastny such a good player for Colorado. It’s not that he’s a shut down defensive forwards, but he’s a two-way forward. He’s an active participant on both sides of the puck. His two-way game is so beneficial to Colorado’s style of play because he can be a force moving the puck from defense to offense. He can play the roll of the play maker. His possession stat’s are very good in this regard when compared to the rest of the Avalanche team. During the regular season he was the only player, along with Tyson Barrie that had a corsi rating above 50 percent. He’s been vital to the Avalanche holding onto the puck and generating chances. Looking at Stastny’s career numbers, he hasn’t really been explosive offensively the past few years. Whether or not that was up to sub par coaching is debatable. But Stastny developed a bit of a reputation with Avalanche fans of being a ghost when it mattered the most. His point totals started out at an impressive rate. He put up at least 70 points in three of his first four seasons. After Joe Sakic retired he was asked to be more of a two-way player, and that kind of evolution took time. His production fell off to more of a 50 point player. Granted, he was on some terrible teams during those years of rebuilding, but he was never generating the same kind of scoring chances he did in the past. This season, however, Coach Roy has given Stastny more responsibility, and the center has rewarded the team with one of his better seasons. While he hasn’t gotten back to the 70 point seasons he had in the past he hasn’t needed to. Stastny has finally realized what he’s needed to do as a two-way center to be effective. He plays a great defensive game and takes the offensive opportunities when they come. The nice thing for him, is that he’s on a team with a lot of depth on offense, so seemingly, the pressure is lessened by that fact. In every playoff series there is a player that can turn a series on it’s head. In game one against Minnesota, Stastny was that player. Hockey is a team game, and as such, no one player can take the lions share of the glory. But in the interest of headline writers all over, Paul Stastny was the hero for Colorado Thursday night. Stastny performance in game one had a leadership quality about it. While he’s only 28, for this team that is a bit of an elder statesmen. He’s been in two previous playoff series before and because of that experience he was a steady performer. While no one but the team is privy to the kind of locker room motivation that is shared between periods, having guys in that room with playoff experience is surely a great benefit. Statsny’s two goals were of course, important, to put it bluntly. Losing home ice looked like a certainty after the second period. But like the team has done so many times this season, they fought back. Stastny’s tying goal doesn’t happen without the tremendous hustle from Erik Johnson to save an empty netter, and it doesn’t happen with out the poise of an 18 year old kid who had the puck on his stick with less than 20 seconds on the clock. What makes Stastny’s play so remarkable here is his lack of panic. His tough angle shot with time running out is all about poise. It was a moment inside a 60-plus minute game that the younger members of the Avalanche could learn how to win. There is an element of leadership to Stastny’s game that is not quantifiable with any statistic. The Winning goal in overtime was another great product of teamwork. Tyson Barrie, who on so many occasions, has been an overtime hero for Colorado made a great move to get the puck deep, and eventually find Nathan MacKinnon. The almost certain winner of the Calder Trophy then made a great backhand pass out front to Statsny who put the Avalanche 1 game up on the Minnesota Wild. Whenever the Avalanche season ends there are going to be two big questions they will need to answer. The first obviously is what to pay Ryan O’Reilly, the second is what to do with Paul Stastny. Hockey is a business, and it’s a business with a salary cap. If Colorado want to spend that money on their defense then that could be understood. But when it comes to Paul Stastny, there is the kind of leader that wants to give everything for the team, which is something rare in the free agent market. He makes players better, and the partnership he’s developed with captain Gabe Landeskog it’s easy to see a Selke caliber line for years to come. Given the fact that Paul Stastny reportedly said he would be absolutely willing to grant the Colorado Avalanche a dicount the question here is why on earth wouldn’t the Avalanche take him up on that?